Let’s face it: personalisation is hard, or at least it seems that way. Research shows that most marketers feel it’s important, but also don’t feel they’re doing it well. However, like all challenging things, the more advanced the technology you have at your disposal, the easier it becomes. When it comes to inbound, this is a matter of no small significance, since personalisation is the most important way that you can optimize your funnel, once you’ve got leads on your site. Just a few years ago, the only companies with advanced personalisation technology were those who could build it themselves. While giants like Amazon have led the way in tailoring visitor experiences, these innovations are now available to any online business, thanks to the proliferation of SaaS personalisation solutions. So, since the tools are in the hands of anyone wise enough to invest in them, the question is: what are the most important tools that online businesses should concern themselves with for inbound marketing today, in terms of personalisation? Here are 6 essential tools to optimize your inbound funnel using personalisation technology. One of the big questions when it comes to personalisation is: What about anonymous or first-time leads? While it’s more straightforward to identify and tailor your content for those who have shown their interests from behaviors on your site previously, what about those who are totally new to your site? There are actually a variety of ways to target new inbound leads, and any targeting engine you’re considering should include all of them. One of the most important is by using referral source; but you can also use location, weather, landing page, search query, and organisation (if their IP is tied to a registry). Referral targeting can be based on ad referral, such as from Google Adwords, LinkedIn, Facebook, or another ad platform, or specific referral links from affiliates and email campaigns can also be used. While ad campaigns may already be sending visitors to unique landing pages, with a sufficiently powerful personalisation solution, you can tailor the entire site experience based on their referral source. 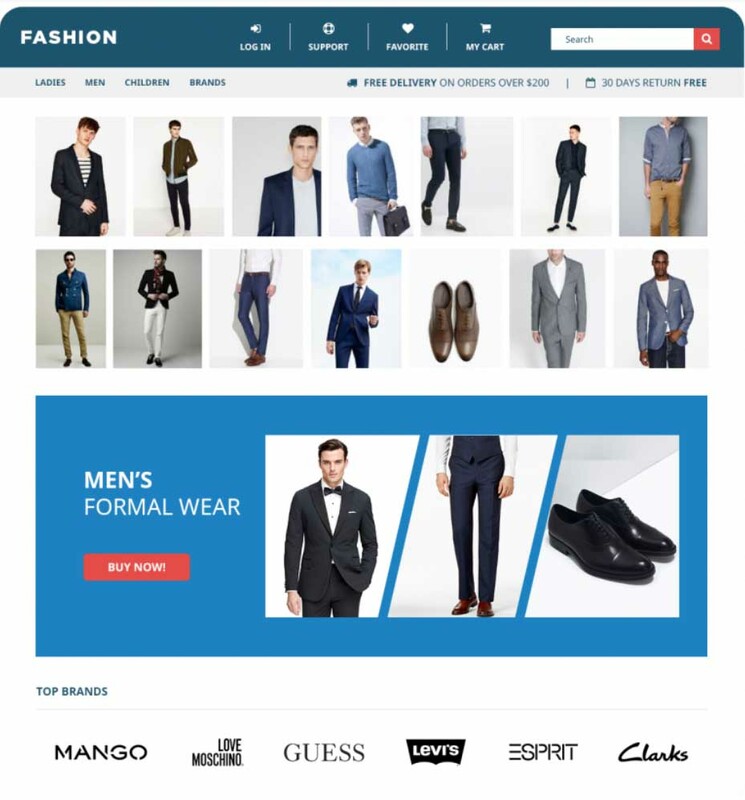 Let’s say you’re a new visitor to a fashion site, arriving from an ad that was presented to you when you searched for “men’s suits”. The ad was for suits and men’s formal wear. You arrive to the landing page for formal wear suits as you might expect, and continue looking at several suits, following recommendations for others. What is less expected is that when you browse to other pages for socks, you find that along with sock recommendations, you’re also recommended suits in similar styles and brands. Furthermore, you see banner ads for suits that are currently on sale, on unrelated product pages or on the homepage, regardless of what else you’ve looked at. In follow-up remarketing emails, you receive offers for the best selling suits based on your browsing preferences, including the colors and brands you liked most. Additionally, you stop seeing this type of personalisation after a certain period of time has passed, or after you make a suit purchase, whichever comes first. Result? A personalised experience from start to finish that focuses on your primary interest, producing more conversions and recurrent shopping. We all know that popups are regarded by many as annoying, and some marketers recommend not using them. However, personalisation technology allows you to use customer knowledge, even the small amount you know about inbound visitors, to make them more effective. 1) Some percentage of people who see a popup will convert, who wouldn’t have otherwise. 2) By strategically using personalisation technology, you can deploy only the most effective exit popups, so that conversions outweigh any negative impact on your site experience. Let’s look at a lead visiting an automotive dealership. While we don’t know much about this particular lead when they arrive, we do know that they arrived via an ad for trucks. As they browse further, we learn that they are particularly interested in Chevys, and spent more time looking at Silverados than any other truck. When the lead goes to bounce, we show a personalised exit popup with dynamic map, which shows them the locations nearest to them, where they can go test drive a Silverado. The result is that a lead is much more likely to remain in-funnel, by becoming foot traffic, because of this popup. Recommendations are generally based on a history of interactions with the site, which might make them seem counterintuitive for new leads in the earliest parts of an inbound funnel. However, it’s also possible to utilise minimal data you may have on a new visitor, along with crowd data and machine learning, to show product or content recommendations that can be effective, even early in the game. One novel way to do that is to show product reviews and case studies as content recommendations, based on the visitor’s location, for instance. This makes a lot of sense for SaaS sites, and other services. On the other hand, in a more typical ecommerce model, you can use machine learning to show products they are likely to be interested in, based on their referral source, by understanding the preferences of most visitors from that source. Of course, once they’ve interacted with the site to some extent, it becomes a normal recommendation, especially for any type of ecommerce. But the point here is to illustrate that you don’t have to have a long history of site interactions to show effective recommendations to new inbound leads. On a shoe website, a visitor arrives from Instagram. If the ad takes them to the home page, not much is known about them at this point. However, the machine learning algorithm does know what people who arrive from IG statistically are interested in. The algorithm has “learned” that visitors from IG prefer certain stylish shoes and brands, that also correlate with the preferences of those in urban areas. Had they arrived from Facebook, the results might have been very different. This creates engagement from the moment they arrive, and a sense that the site is selling the kinds of products they like. Further recommendations on product page and cart pages can also take this IG factor into consideration. Banners are some of the most prominent and important marketing graphics you have on your site, and are inherently less annoying than popups. Still, they have to be used skillfully, to avoid crowding a page, and maintain the clean, well-designed look of your site. The last thing you want is for an inbound lead to arrive, only to find a page cluttered with ads, looking like a NASCAR racer. These days, expectations are for a cleaner space with less ads, and more relevance. The best way to accomplish this is with a targeted/rotating banner tool. With this tool, the banner a person sees in any given area on the site will be dependent on which segments they have matched. This allows you to use up minimal space on the page, by achieving maximum relevance of each banner displayed to the individual visitor, and thereby avoiding the need to show many types of banner on each page. On a SaaS site, a lead arrives from an influencer campaign, of which the various influencers they work with have multiple referral links they use, depending on the likely role in company of the people their campaign will appeal to. Once this inbound visitor arrives to the home page, a rotating banner tool will show them the banner which appeals to their segment. If the visitor arrived via a post about market research on the improvement of various metrics achieved by those who use this type of software, they would see a message tailored for those in management positions. This one’s no secret, in 2019. The increased effectiveness that comes with personalising email has been statistically demonstrated, to the point of being a well-established fact. The question is only what the best strategies for doing so are, and which tool to use. The key elements of an email personalisation tool are to provide recommendation, targeting integration and automated workflows. In terms of inbound, recommendations can show products or content, depending on the email type, but the key is that something known about the visitor is determining what they recommend. As we saw with previous examples, this can be as little as a referral source, or can include one or more sessions of interactions they’ve had with the site. Targeting technology, on the other hand, allows you to show a lead something they have shown interest in, often with the purpose of impressing a sense of urgency. This can be an item they viewed that went on sale, or a flight they nearly purchased that’s almost sold out, or similar things with a FOMO appeal. Setting these up will take some time, but if executed well, will result in enough recaptured conversions to make it very worthwhile. Beyond these, there’s just the matter of setting the right workflows, to send the string of emails at opportune times and intervals, and to avoid annoying the lead. Having the right email tool to do all of these things is crucial. A travel site and flight search provider is using a personalised email solution, specifically with a strategy to use targeting to notify visitors when a flight they’ve shown interest in is almost sold out. A lead who has been on the site recently and shown an interest in flights to the UAE, for example, will receive an email perhaps a week after visiting which notifies them that one or more of the flights they were considering are booking up fast. If the lead doesn’t click through, they receive another email notifying them that the flights they were interested in have sold out, but there are still others available. Later remarketing emails will recommend flights based on their browsing behavior, using email recommendations. The result is that visitors like this are more likely to return to the site and convert, rather than go shopping around at other sites. The importance of analytics and testing is also no longer contestable or obscure, at this point, but it’s still worth mentioning here. When it comes to personalisation, constantly testing and tracking is even more important. That’s because personalisation technologies and strategies are all still relatively new. Add to that the fact that data privacy is an increasing concern, and it becomes clear that we must be highly strategic, take precautions, and watch the analytic feedback on every move we make with hawk-like vigilance. Luckily, as personalisation tools become more advanced, robust, and comprehensive, they also tend not only to integrate with third-party analytics solutions more smoothly, but also contain more detailed internal analytics. In some cases, these may even contain valuable insights which would not be easy to get from the third-party solutions. A/B testing is also critical, and although many tools out there do only this, ideally it will be built-in to the personalisation tool(s) you’re using. This means that not only can you show different content to different segments, but you can test different versions of that content. Not only can you target inbound leads with personalised messaging, but you can test which targeting rules and limitations are most effective. This means you can you AI-generated recommendations, and also can test which algorithms create the most engagement and conversion. Although personalisation can seem complicated and daunting, its essential for success in 2019. With the right tools at your disposal, it’s easier than it’s ever been. All of the tools listed in this post may sound like a lot to navigate, but it’s not uncommon today to find them all wrapped into one complete solution, of which there are many on the market across a wide price range. Of course, it’s important to do careful research, and ensure that you’re getting the maximum value for the time and resources you’re investing. To maximise your marketing ROI for your personalisation initiative, you’ll want an intuitive, robust, and affordable personalisation solution. Here is a list of personalisation vendors, so you can get started today. Jonathan Riley is a personalization specialist at Personyze, helping online marketers to optimize performance of digital assets with powerful personalization technology and strategies. You can connect with him on LinkedIn. After three years of hosting events, we’re delighted to take the next step in our mission to help marketers upskill their digital marketing knowledge. Next month we’re kicking off the first in a series of monthly workshops in Dublin.